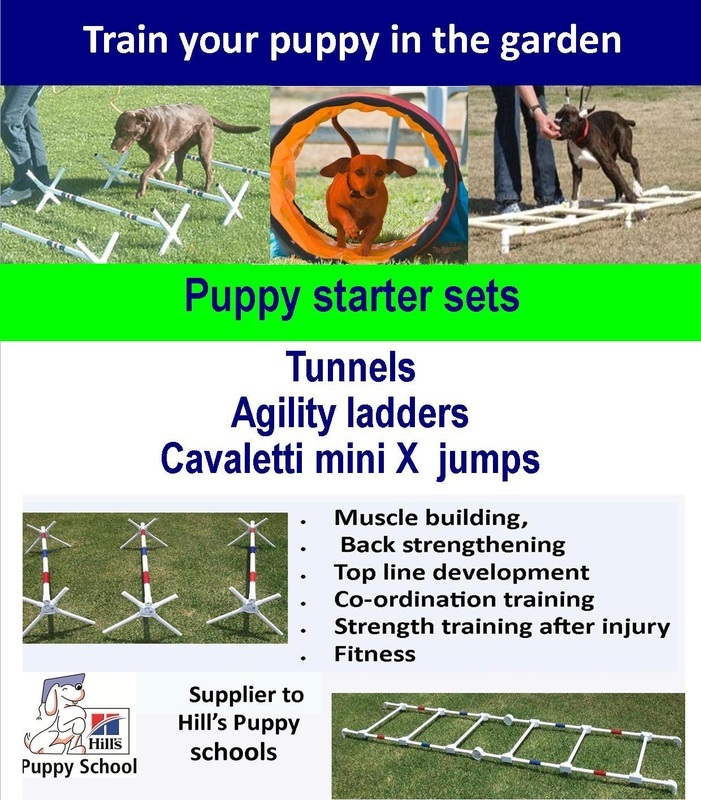 In addition to having agility equipment in the dog and puppy school environment, having a set of your own in the home environment can provide hours of fun for both dog and owner. Kids love interaction with their dog and here is such a fun way to do it and just think about what wonderful birthday and Xmas presents these would make - an added bonus is that they are light, durable, easy to assemble and pack away in minutes and don't take up storage space. If we think about it, agility also caters for your dog's natural, instinctual habits. In the wild, dogs have to chase after prey in order to eat. This would consist of the running at speed, going over and under natural objects such as fallen trees, squeezing through tight places such as under bushes, under fences etc - and agility does all this! I am sure this is why the majority of dogs love this sport so very much. An added benefit to the dog is that it is not just spending time with the owner, they are having fun together and it provides the dog with mental and physical stimulation to boot. 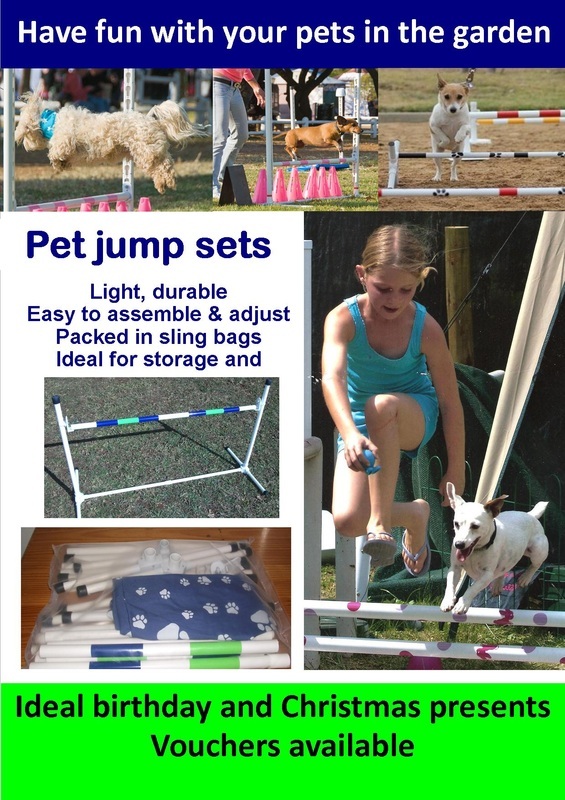 Agility improves obedience, builds confidence, strengthens muscles and the dog's co-ordination. The home agility may spur your child, or even yourself on to start to participate in this fun event and attend classes and enter competitions. The outlay is not massive either - The tunnels ,cavalettis and ladder are all sold separately but as a set they cost R1150 and the pet set of 3 jumps cost R500.